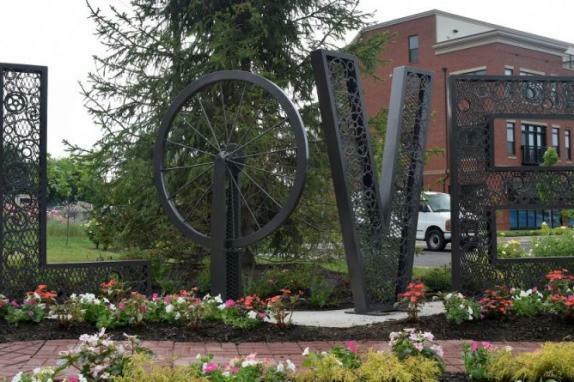 The LoveWorks scultpure is part of the Virginia Tourism Corporation’s state-wide arts campaign and was funded in part by a $1,500 grant from the organization. 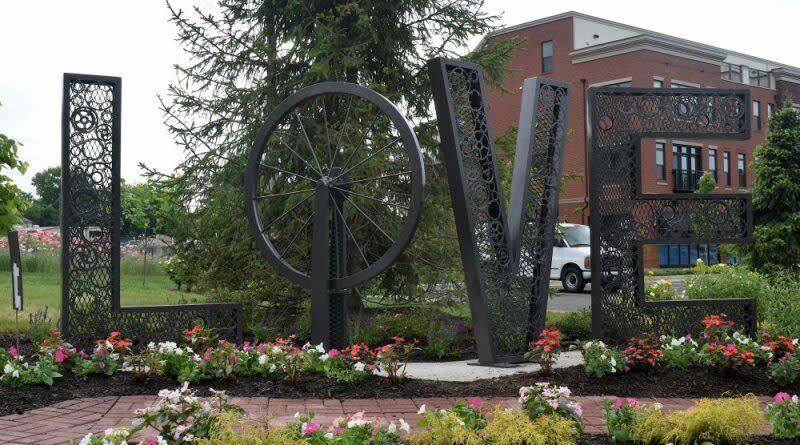 Like all sculptures in the campaign, it spells out the word “LOVE.” Created by Mike Clay, an artist and metal fabricator from Lovettesville, VA, the work is unique in its use of bicycle parts and steel channel to make the 7-foot-tall work. Clay got help in finding the hundreds of gears and other pieces he needed in the form of donations from Plum Grove (Re)Cyclery, Velo Classique, and Lincoln Smithy. It is 7 feet high and 17 feet wide powder coated in a bronze finish. It is located at the Washington & Old Dominion Trail. Visitors are encouraged to take photos with the LOVEwork and share with loved ones on Facebook at www.Facebook.com/VirginiaisforLovers or on Twitter with the special hashtag #LOVEVA. A complete list of the LOVEwork locations is at www.Virginia.org/LOVE.